In this week’s episode Dave catches up again with Betfair’s former Senior Racing and Sports Trader Matt Cosgriff. 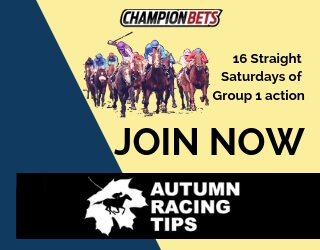 He has plenty of betting and bookmaking insights to share having been in the industry for almost two decades now. David Duffield: The last time we spoke you were at the Senior Racing and Sports Trader at Betfair, but they’ve made a few changes recently when the BetEasy deal went through. Just talk about what happened at Betfair after the BetEasy acquisition and also what role you were doing there. 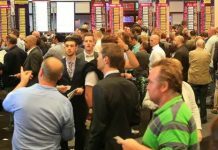 Matt Cosgriff: Well Betfair, the Australian franchise, was bought out by Crown in 2014 and with the sportsbook office we were actually coming along quite well, and the actual directive from Crown was to enter into a JV with BetEasy, and BetEasy went and controlled virtually the business from there. A few of the traders went across on BetEasy’s selection and redundancy packages were handed out to the remainder of the office, which the guys accepted and everyone’s moved on from that point. David Duffield: When you’re there as a Racing and Sports Trader, what did that involve and what kind of skills did that require? 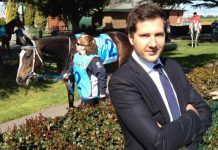 Matt Cosgriff: It’s pretty much … Sean Byrne headed up the office and we were actually conducting the bookmaking side of the business. The Fixed Odds Racing and the risk management of all the racing that was going on that covered all three codes. Fixed odds for the thoroughbred racing and we were going along really well. The numbers were very well above forecast prior to the JV of BetEasy going ahead, but as a bookmaker it was usually pretty much what we’d been doing for a long time. At the end of the day too, we had stringent rules that we had to run to by management, as to who we bet, how much we were betting. It was very much a good structured business and now BetEasy has that. David Duffield: You mentioned the stringent rules. What flexibility do you have or do some of the other traders have at corporate bookmakers in that, you’ve got to toe the company line, but you’re dealing with risk every day, so what leeway do you have there? Matt Cosgriff: The leeway that you do have, at our office we were still in the process of growing the business, so we took on a lot of business that others might not have taken on. You probably don’t take that on for the capacity that you probably would have liked to, if only because there were different ways of handling the business. We were, pretty much, very aggressive in a lot of areas, especially in the metro’s we bet up quite well. At the end of the day we had a good solid business and you’ve got to be able to think on your feet pretty quickly. The games not so much a trade-out business as it used to be; especially working on the racecourse that’s how it used to be, but I suppose now it’s more of a closed-in business in the industry that is. That’s a lot of the differences that you’re seeing, probably only in that time since Betfair’s been around probably for several years. David Duffield: So if you’re having to play heads at times, in that you’re dealing with some pretty smart guys, if some really smart money comes through, are you looking to bet that back straight away, adjusting your prices, or both. How do you approach it? Matt Cosgriff: You definitely got to respect the money. Yeah, for sure I mean it’s a game of hot potato. I think the best thing too, is when you do take on smarter money, being the trader, I think some of the times you get directions from people who probably haven’t been on a trading floor before and they probably don’t understand that if you can actually take on professional money, it can actually help you in the process as long as your trade is efficient. That’s the reason why, I think, the markets are what they are today, because people don’t really want to bother with that, with the risk, that the trader may get it wrong, and they think, “Well, that’s a positive figure,” so that’s why they run with it, but personally, I prefer to take on the smarter money. It happens still on the racecourse today, and those guys still keep turning up, so if you’re good enough at doing the trade, I think it’s very much in your interest to, at least, take on for an amount because you’re still going to get an indication of where the markets going to head, because, at the end of the day for me, it’s all about getting to where the market is going to be, because the efficiency of the SP over time, sells itself, but there’s the movement in the market that the trader has got to be more aware of. It’s not so much … When you’re assessing probabilities of runners you’ve got to be much more precise these days because you don’t have much of a margin to work with. If someone rings up and says they want a couple of thousand; You know the head; early on in the betting… Provided you’ve got trading outlets of course, most of the people do use the exchange, and you can always use an on-course bookmaker by the phone and then the on-course bookmaker can disperse through the ring. I always still see that the trade option is available and I can to take it on. David Duffield: So if it is all about getting to where the market is going to be, and you mentioned the efficiency of SP; how can some of the other corporates do it, when they just refuse to take, not just smart money, but even reasonably well-informed money? Matt Cosgriff: You can’t tell anyone how to run their business, they’ve all got different structures and know what works for them, but, I was going to say, say you put up 2/1 and four for two, a horse, in the end I’d say, “I bet you 2 for 1,” and then, obviously, that 2/1 will not live, I can give you that. But if you can ring up and say, “I’ll bet you a thousand,” it gives that guy a chance too. And if the trader’s got any nous about him he would have had 2 for himself across the market, and that would have happened inside of a minute and you’re sitting well. And you’ve also got the ability to lay the other horse on the exchange. You’ve got a great lead on where are they going to go, because if a professional is going to back a second favourite or a favourite, they’re not going to back the other one. They’re not going to back them both, so you’ve definitely got a lead on where the market’s at. If you’re good enough to trade out and get some more on well you’re in a good position to get a really strong outcome on your books should the professional money to be right. David Duffield: So you’ve got experience punting and bookmaking, on-course and online, do you think the New South Wales minimum bet rules that have been very well received by punters; do you think it’s feasible for them to be Australia wide or would the other bookmakers hold up OK under those circumstances, and do you think it would benefit the industry overall? Matt Cosgriff: Well, if you go to the racetrack now, I mean I’ve been going a bit since I left Betfair, you can get on up to $5000 and the boys will let you on. I haven’t seen a bet get knocked back on course yet. To say you can’t get on Victoria to win two thousand, where I’m from anyway that is, is not right. You can easily get on. On the course that is. With the corporate sector I’m not too sure how everyone’s accounts are looking, but the fact is, I think they do encourage the bet to win two thousand. I certainly can’t see it being a negative for the business, because I think the traders, if they’re good enough would actually be able to use that very well to their advantage. You only have to bet to win one person, it’s not like you’re betting ten people at one. If ten people come at the price you’re only going to bet one to win two thousand anyway, and then turn it off, and that is a strong push. Then you go back and reassess your market if you can’t trade out, then you only stand once for two thousand going into a Saturday, so the amount I don’t think is that big a deal. David Duffield: And do you think that there are other ways that the market might be able to open up and then overall, boost the industry? Matt Cosgriff: It all depends on how wide you want to bet I suppose, but I think there is a lot of overreaction to a lot of the accounts that get closed. I’ve seen some blokes get closed, and I’m thinking, “Jeez, I wouldn’t have done that,” but people do it with winning days. There are meetings where favourites get up. You just got to be able to assess the punter in itself and to me it’s more of the patterns that fit, not the results that they get, that really holds them count and how they begin to turn out. Then, I’ve seen winning clients who been going on and they won six weeks in a row, only to lose it all in one week, because that’s how the losing punter really works, it’s not so much how they win, but when they actually end up losing and they lose it pretty quick. So the smarter punters will always be structured, they don’t panic, they don’t chase, they are very good and well-mannered and to me that’s more the pattern that I look for. It’s not so much the results I get, but also it’s the price variance that they do get. Of course, that’s important. If they take 8’s on something that starts at 5’s okay, we’ve got an issue. But if next one goes 5’s to 8’s and they are on at the 5’s, well, to me that’s not a problem. Because you’ve got to admit it too, at the end of the day, the bookmakers got all the power in it’s hands percentage wise, to get by on the winning side. I wouldn’t worry too much about some of the guys that have been cut off. Then again too, if someone’s got you after a month, after two months, after three months, after six months, your case is pretty good. At the end of the day too, his business is what I’m saying, can actually benefit the bookmaker as well, by saying, “Okay, we’ve got a good one, but we’ll keep him in our pocket, and we’ll get the lead up where the market’s at, because at the end of the day … Here’s a case study for you, there’s a bookmaker that took a bet on Saturday and he took $5000 to $800 a horse and he was able to bet it back $10,000 to $1600. So he’s on to win $5000, the smart money’s on, the horse got heavily backed and at the end of the day, the horse didn’t win, but over time, he knows that guy can win over a period. The bookmaker has now won himself by playing the smarter money. It’s very much being able to spot the client and respect the client but also to also be able to handle the money, know how to do it, and have the experience and the knack for how to handle it. 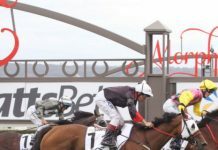 David Duffield: What about Betfair themselves, they’ve had their challenges and the authorities haven’t made it particularly easy for them, but do you think there will ever be a time when there is no Betfair operating on Australian racing? Matt Cosgriff: I’d like to think not. I think it’s been a great innovation to racing. I think, what it’s done too, it’s actually helped the on-course punter. When I used to bet on track when there was no Betfair you’d probably bet down to 120%. When the market got to 115% the fire alarm nearly went off. Now, you’ve got situations, where your top fluc can go under 100% and your SP can be around 104%. Because the bookmakers are more confident to push out a price given that they have the professional knowledge that lies in Betfair in those markets; that they can flick a horse out from twenties up to fifties, because it’s probably eighties. Whereas in the old days, they wouldn’t take the twenties at all. They’d probably be sitting there saying … It might have gone to twenties, but only in the last ten minutes of betting and when the market would have settled to 130%. To me, I think Betfair’s actually have given the punter a really good product to drive them forward, because, to me, it’s actually made the market be able to be more confident for both bookie and punter. The punter’s seen the money counts as something, and going with it. The bookmaker saying what the price is on the exchange, and actually get his prices out to that as well. David Duffield: You talked a bit about on-course side of things because you’ve had a chance to go out there and experience it since you finished up with Betfair? What are the benefits, as you see them, for people listening to this to still bet with an on-course bookie? Matt Cosgriff: There’s plenty of benefits. I think the first one that comes to mind is your ability to have a credit facility. When you settle at the end of the week, the bookie knows you and you know him, you’ve got a private relationship. You can always, when you’ve got a credit facility, and your short one week, you can actually arrange to make payments, let people talk to you one-on-one. They get transferred to a department where someone talks to you and treats you like a client number. Like I said it’s very personal. You still get to bet the cash and get paid the cash. People enjoy that. Not only all the buzz and excitement, but also the war of punter vs bookie. It’s always been a great duel. To me, it’s just the colour of the action, that really gets people going in there. I think from personal experience, a bit of fun, I think it’s a lot better. 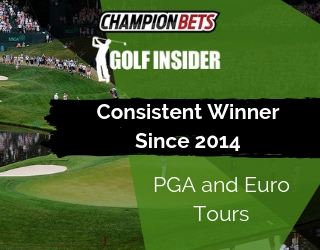 Myself, I like betting with an on-course bookie because I always get the fraction which always helps, and you’re able to have a bit of a relationship on-course, which is always good. David Duffield: What about top-fluc betting? Not necessarily people you’ve worked with, but there’s talk that if guys are wanting to have a serious bet, that they shouldn’t do much top-fluc because it shows their hand. What are your thoughts on that, because there’s been talk of, you might call it price suppression, that’s what has been accused of happening. Would you, if you were talking to a punter, would you suggest top fluc is still a reasonable alternative? Matt Cosgriff: Absolutely. Because what it was initially brought in for, was bookmakers to lay the horses before for the betting. The ability to keep the price down on-course, given the competitiveness and the fact that Betfair could show the hands to the bookmakers, to actually hold the price down it would take a lot of money. But to someone who wanted a thousand top fluc at say 8-1, well, then I still think he can get it on-course and you should be able to get around that price. I can’t see why, especially in today’s day and age, why the price would actually smash in on you. Years ago, before Betfair the smarties used to bet the top fluc and that’s where the real smarties worked in the bookies’ favour, because not only did they have the money prior to betting, but they knew which way the market would go. Someone would ring up, and back $4000 top fluc on the second favourite, which would probably got them 4-1. You still didn’t mind laying that, because at the same time too, you had the benefit of laying the favourite that wasn’t wanted by the professional money and then you knew that’d get you more, as much out of that, you also had the ability to trade out the second favourite on on-course as well, and you could even run with it, just pop it out; do whatever you wanted; trading it through the betting ring. That’s why I’m saying, on the corporate level, if the bookmakers were able to trade out amongst themselves, everyone could all still take that action, but with the exchange, it’s probably quite a bit showing what the real price should be. But then again, the real prices aren’t really shown on Betfair until right before the jump anyway, so you still don’t know where that market’s going to get to. Which is why the trader is still needed in today’s market. David Duffield: What about the form analysis side of things. You mentioned you’ve been in the business for 18 years. I’m sure it’s evolved in that time, but where do you see it right now and where do you see it going? Matt Cosgriff: I think it’s very good for the punters. I like the fact that a lot of these form companies now, they come in it with their apps, people walking around race courses, they go with performance writings in their hands, they’ve got speed maps in their hands; things that you’d probably have to sit up on a Friday night and doodle away on pieces of paper, to be ready by Saturday. The punter doesn’t have to do any of that anymore; it’s actually already done for you. I think what is actually going on, all that stuff has to be marketed towards the punter, because the punter should be aware that that stuff happens, and the more that they’re aware, the more that they’ll be involved. At the moment, I’ve got a real … I just hate thinking about the future of racing, with the codes of betting that are out there at the moment. 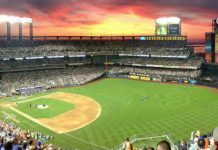 David Duffield: You mean the challenge of sports betting? Matt Cosgriff: It’s massive, it really is. I don’t think people understood, in the top end of racing, how big this actually is. It’s on a timescale of, I would say, twenty years. Now the first one that gets me is when you go and put money in your TAB account, and you walk in, and you can’t see anyone watching the races on the screen, it’s just five 18yo kids sitting around Trackside, playing computer horses. Then the second one, you’ve got, that I’ve always seen in my time, especially when you get to the corporate level and you can see actual numbers, the demographic between 18-30 is the age group of sports betting versus the demographic for horse racing which is up around the mid-forties, if you put that on a 20 year scale then sports betting really has a massive edge on racing coming up. To me, the punting and the wagering of racing that keeps the sport alive, so that’s my big challenge, I think, for racing coming up in the future for sure. David Duffield: You talked about things like apps and just the availability of information as one way of battling that; is there anything else? It’s a big challenge, but what else do you think racing can do to either grow or maintain market share? Matt Cosgriff: Not too sure David. You can’t say that they’re not trying, I see a lot of the things done by Melbourne Racing Club I’m very impressed with lately. You see some of the initiatives they’re trying and it’s not an easy one. It’s definitely not an easy one. You can definitely tell the difference now with social media today compared to even ten years ago. You’ve got live streaming through your computers now you don’t even need Foxtel anymore. Sport availability is massive. Even when you go overseas to Singapore, they’ve got the same challenges. They can’t advertise their racing locally, yet the whole younger wave of punters coming through is all headed towards the Asian soccer scene, which is an absolute massive industry. 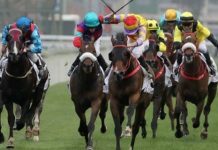 There are challenges in racing all around the world and to keep a steady group of youth coming through The case as far as steady work of use coming through punting is very difficult. The challenges are really up against the racing. That’s not to say nothing’s being done, but at the same time, I don’t know if they appreciate how big over the next 20 years this is actually going to be. David Duffield: Good points. Well that’s it for today. I always appreciate your time and thanks for joining us once again.